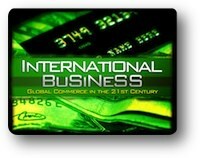 Red Comet’s Online Curriculum for High School Unveils Brand New Credit Course on International Business. Red Comet, an Accredited, Self-Paced, Online High School Launches a Credit Course on International Business. Red Comet’s brand new online high school elective “International Business: Global Commerce in the 21st Century” takes an in-depth look at what it takes to do business across the world. Global Business is an exciting topic in the business community today. This course helps students develop the appreciation, knowledge, skills, and abilities needed to live and work in a global marketplace. It takes a global view on business, investigating why and how companies go international and are more interconnected. The course further provides students a conceptual tool by which to understand how economic, social, cultural, political and legal factors influence both domestic and cross-border business. This course explores business structures, global entrepreneurship, business management, marketing, and the challenges of managing international organizations. Students cultivate a mindfulness of how history, geography, language, cultural studies, research skills, and continuing education are important in both business activities and the 21st century. A variety of students use the Red Comet online learning program. Particularly those who can’t attend all high school classes and those who need credit recovery benefit from the wide breadth of courses offered. Red Comet offers all high school core subjects, including Social Studies, Science, Language Arts and Mathematics, in addition to numerous elective courses. The courses are also quite worthwhile for students in private schools who seek Advanced Placement classes or electives, and home school students who need help in specific subject areas.